Back in July, we made our way to Fort Chambly, in Chambly Quebec. It was a great day out in all respects and we only experienced about 10 minutes of rain. Mind you, that rain came down in buckets, but we were able to take some shelter underneath the large trees in the park. After we had finished our visit to the fort, we made our way back to the car by walking along the water front. As we walked into the picnic area next to the fort, i looked out over the Rapides de Chambly and noticed a rather large bird perched on top of fallen branch in the water. At that moment, all i had in my hand was my little X10, which was somewhat useless at the distance that i was from the Heron. Hoping that he would not fly away, i gently took off my backpack and took out my D2x with the 70-300 VR G attached. Luckily for me, the camera was more or less set up for the shooting conditions. It was already dialed in at ISO 400, which was perfect for the overcast weather we were having. I only had to adjust the aperture, which i set to f/8. Shutter speed varied between 1/320 and 1/500, which was due to the light. I shot in RAW, which i do all the time with the D2x now. Shooting in RAW with the D2x gives me so much more latitude when i want to edit the files. It doesn’t take long to edit the files either. A minute or so with each file in Capture NX-D and i’m done. It was really great seeing such a magnificent bird up close like this. I am very happy that i was able to photograph him. Andrew Haydon Park is always a nice spot to go to, whether you want to have a picnic, read a book in tranquility or take photos of nature. Of course, you can do all three if you like. During my last visit to the park, I was lucky enough to get quite close to a Blue Heron. He/she was very majestic and seemed to be used to people, for I was able to get very close to them and take their photo. The heron knew that I was only mere feet from them, but it did not seem to bother them. They just stood there, posed and was willing to give me a minute or two to take their photograph. However, after a few clicks, they decided that that was it for the photo session and walked off. Photos were taken with the Nikon D2x and the Nikkor 70-300mm VR G.
It’s been hard to get a decent photograph of the Cardinal that frequents our backyard, but i finally got him! 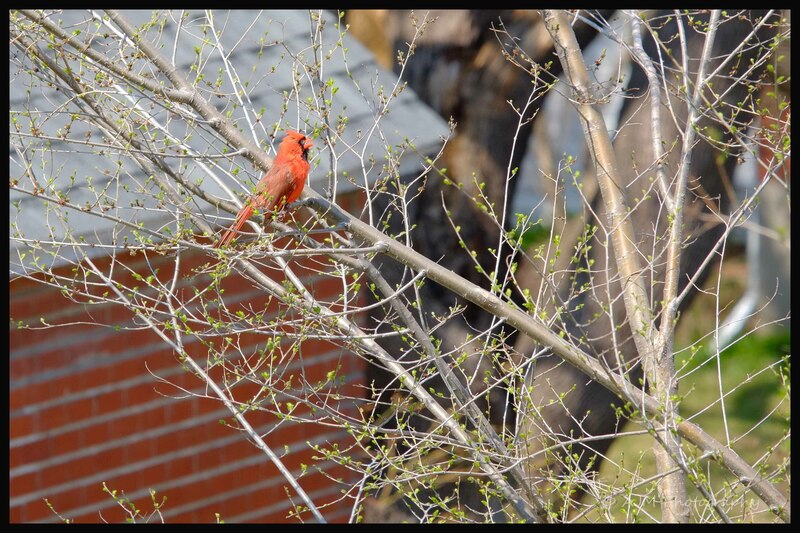 I noticed that he and Mrs. Cardinal were flying around at the back, so i went and attached my 50-230mm to my X-Pro1 in the hopes of photographing at least one of them. He does not stay still for very long and i needed him to do so in order to get a decent photo of him. Maybe he was “listening” to me, because he stood still on top of the fence just long enough. 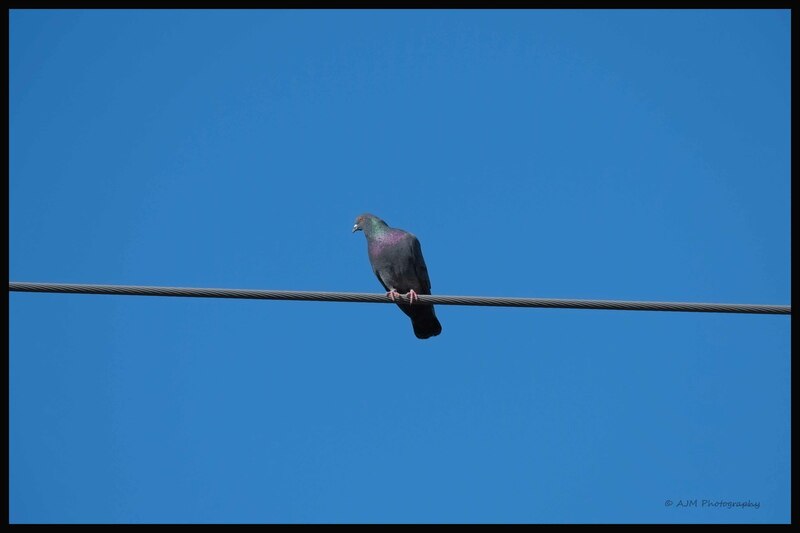 Photo taken with my X-Pro1 & XC 50-230mm. Shot at f/6.7, ISO 3200, 1/25s at 230mm. Thanks for not moving a muscle for a few seconds. You know full well that it’s spring when all the little creatures come out in abundance. 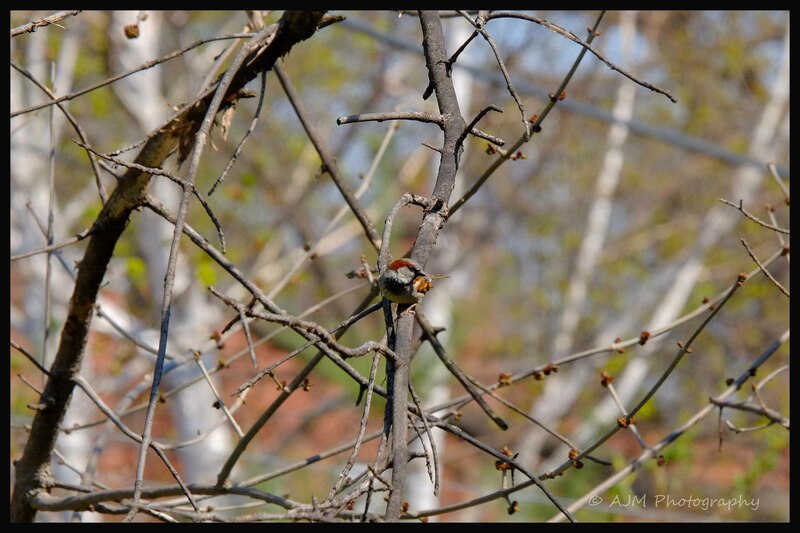 Yesterday afternoon, i was able to get a few photos of the little birds that had zoomed in on the bird feeders. It was an absolute feeding frenzy! At one point, i tried to get just a little closer to them, but they would not let me and flew off. I backed off and then waited for about 10 minutes for them to come back, but they never did. It was quite amazing to watch these little birds eat so much. When they did come back, i think the only reason why they left again, was because they were full and couldn’t eat any more. It was another beautiful day here in Montreal, one that you could not resist by sitting inside all day. I took my daughter to the park and then once home, took a seat on the balcony to enjoy the warm weather. We both sat on the balcony, watching the various birds come to visit the backyard. They used to be easier to photograph; but since my neighbor at the back decided to cut down most of the small trees along the fence, the birds are now stopping on trees further away. I certainly don’t have the best lens to do bird photography with, even at 230mm. 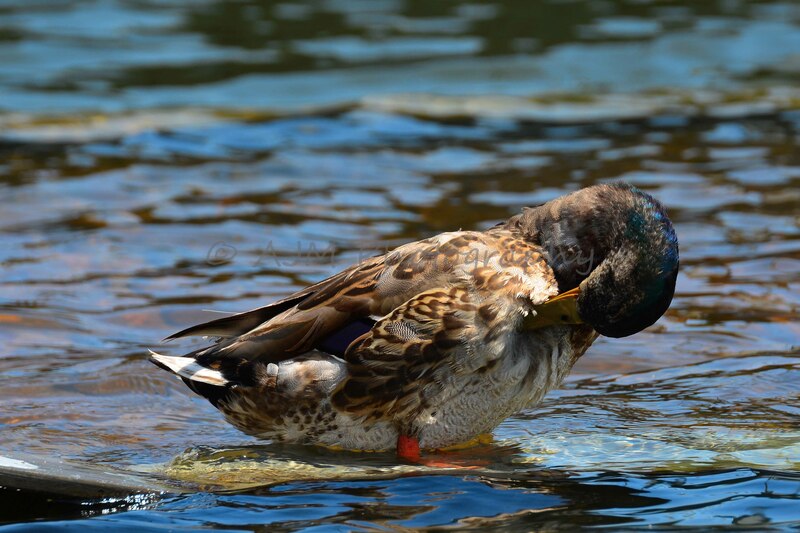 Unless i am really close to the birds, i always have to crop the photos. 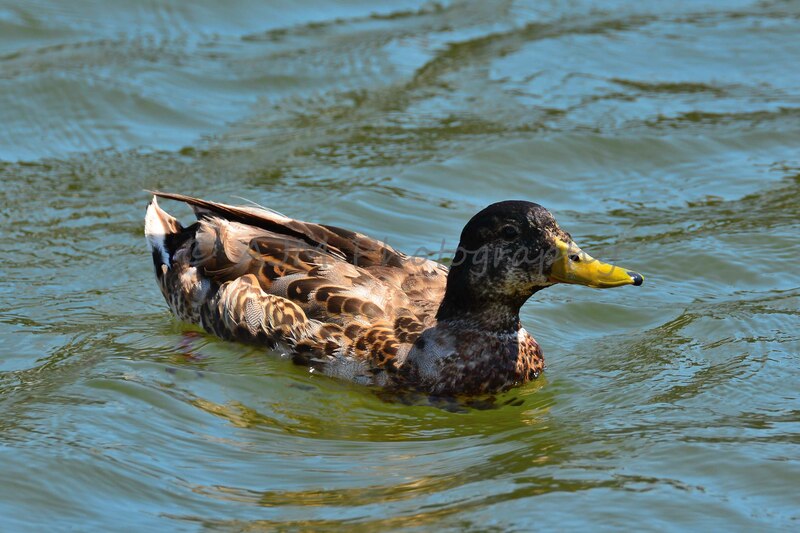 In my opinion, the minimum focal length suitable for good birding photography, is 400mm. 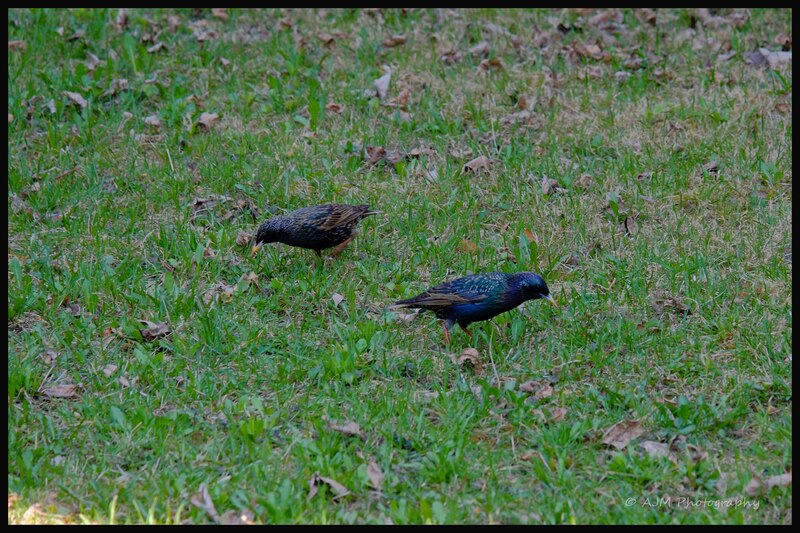 During the afternoon, i was able to catch a few Starlings pecking through the grass. 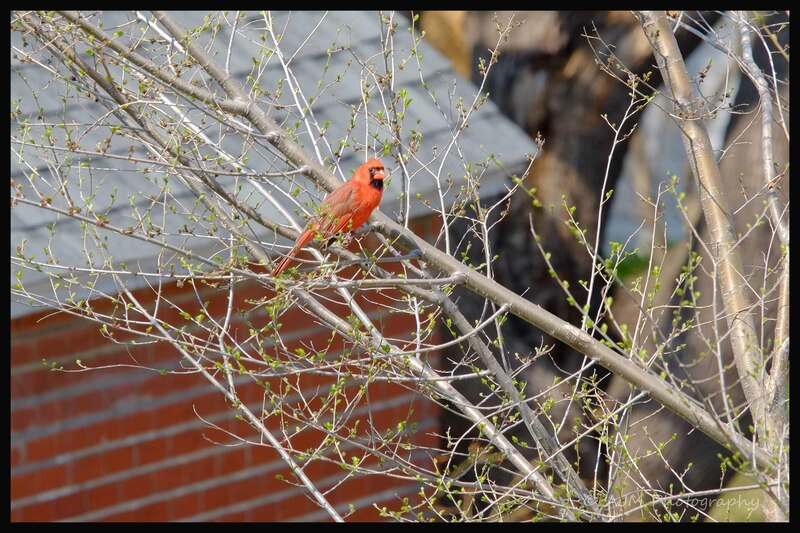 I was also able to get some closer shots of the Cardinal. My daughter really likes birds, so it was nice to take these photographs with her and show her the photos afterwards. It was such a beautiful day today, there was no way i was going to miss out on going outside with the camera. Aside from going down to the old port for a nice, leisurely walk, i also took a short stroll around my neighborhood. 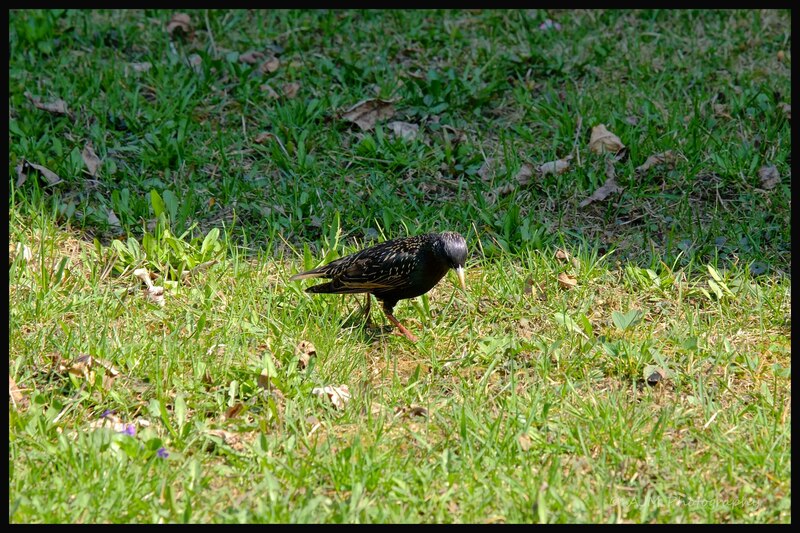 I put the 50-230 on my X-Pro1 and looked for some birds. 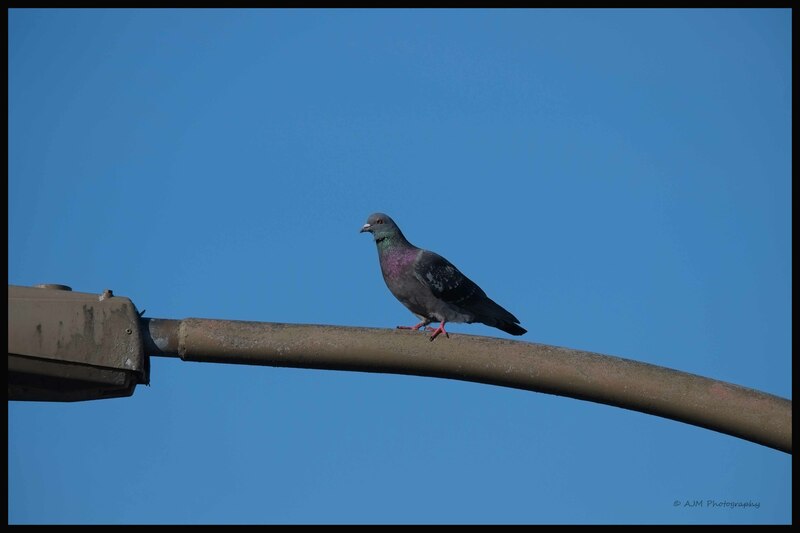 Well, there were not many song birds around, so i was left shooting some pigeons. You can give them all the fancy Latin scientific classifications you want. For me, they are flying crap bags. They seriously mess up any area they roost. 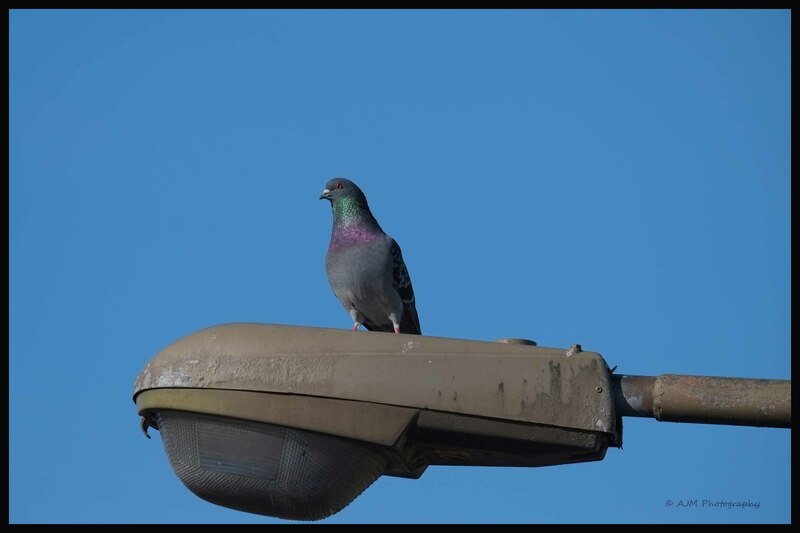 I must admit, i do like the colors that pigeons have in their plumage. They are not striking, but they are well balanced colors. 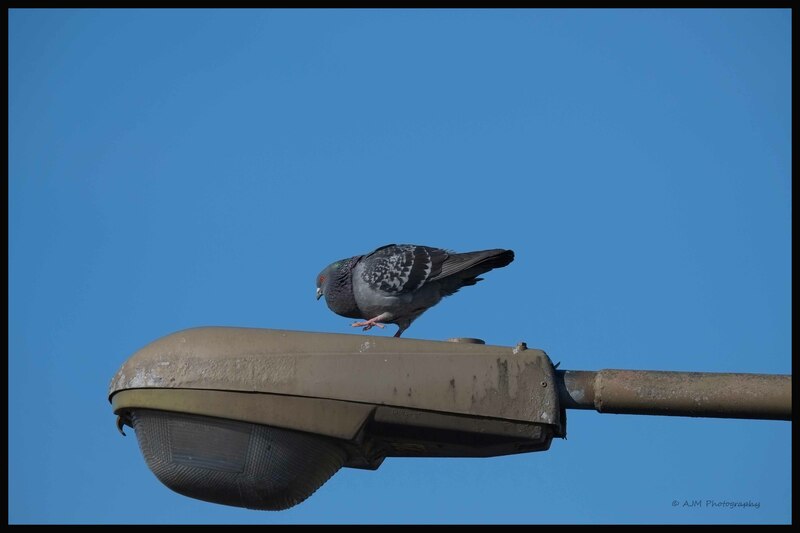 The pigeons were not the most exciting subject to shoot, but they were quite interesting to observe in their behavior. Negative 28 degrees Celsius with the wind chill factor and i am still thinking of the summer. 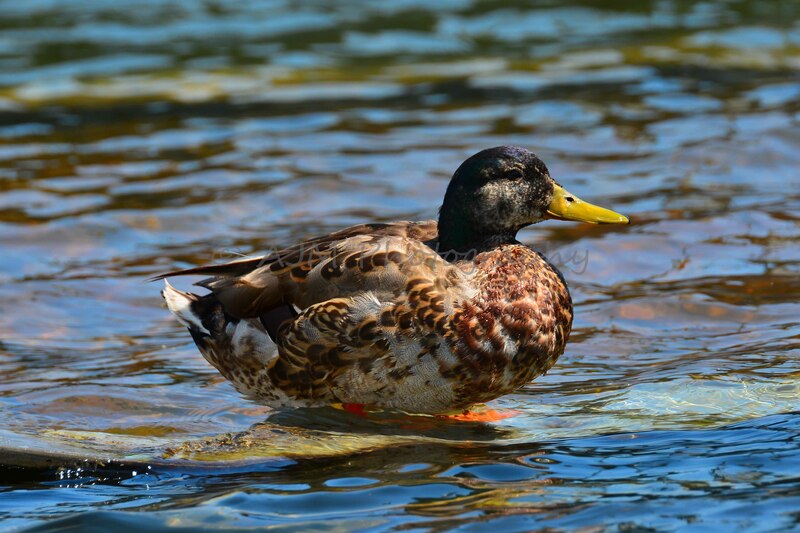 If you go down do the Old Port during the summer, you are going to see quite a few ducks. I do believe that they nest in and around the old port in the spring time. 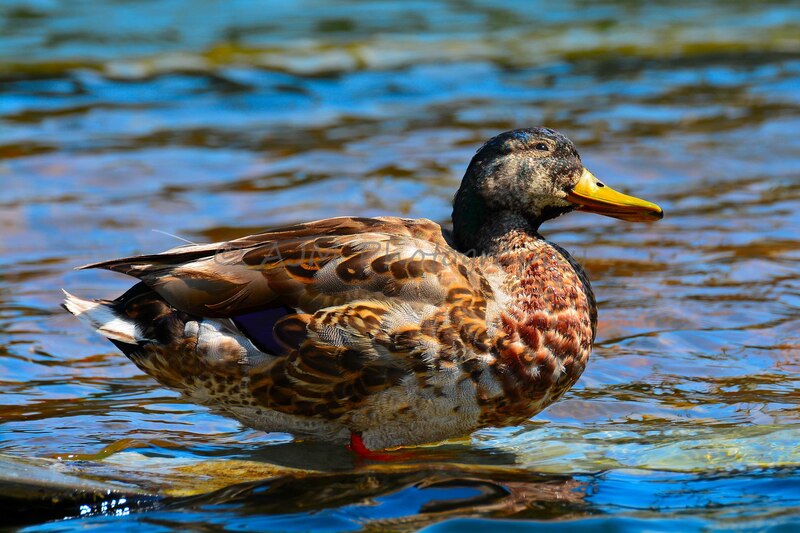 This duck was enjoying the summer sun. At the same time, it had a little clean. 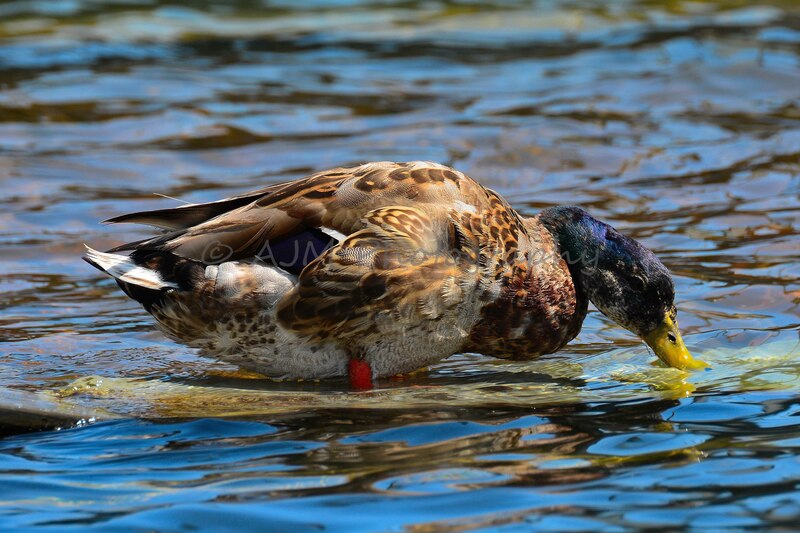 It just goes to show you that you don’t always have to go far in order to capture a bit of wild life.